I love to hike, but hate all the bugs swarming me. I never used bug spray before because they contain harmful chemicals. I started using ORGANIC Don't Bug Me a month ago and now I can hike in the woods without bugs bothering me. Not a single bug comes near my head or body. It works great and smells so good. Don't Bug Me Bug Spray Repellent WORKS! I live in the forest and I take out the trash regularly. With Don't Bug Me! ticks, mosquitoes and other bugs do not land on my skin or bite me. I spray it in my car and on my clothes to keep gnats away too. It really works! And it's organic - no more toxic bug sprays! Essanté Organics uses certified USDA Organic, Non-GMO, Gluten Free Soybean Oil as the first ingredient in Don’t Bug Me! Bug Spray & Repellent by design, because Soybean Oil is a powerful and proven bug repellent all on its own. Scientific evidence shows Soybean Oil may provide longer-lasting protection against insects compared to other bug repellants without soybean oil.  A 2002 study found Soybean Oil, on its own, protected against mosquito bites for an average of 94.6 minutes, much longer than other oils on their own. A 2004 study tested a repellent made with Soybean Oil. The study shows it protected against mosquito bites 5-7 hours longer than other options that did not contain Soybean Oil. A 2011 study used a group of essential oils mixed in Soybean Oil to test as a repellent against insects. The study shows Soybean Oil may be the best base to create insect repellant mixtures due to its inherent bug repellent properties. The second, third, and fourth organic oils in Don’t Bug Me! Bug Spray & Repellent are also highly protective, for extended periods of time, against mosquitoes, spiders, fleas and other insects, especially when mixed with Organic Soybean Oil (the first ingredient). The fifth ingredient in Don’t Bug Me! Bug Spray & Repellent is Organic Cedar Wood Oil, one of the most effective essential oils to repel and kill flies, gnats, ticks and moths. The sixth ingredient in Don’t Bug Me! Bug Spray & Repellent is Organic Rosemary Oil, one of the most effective essential oils to repel and kill mosquitoes, lice, files, gnats, moths, ticks, silverfish and bean beetles. The seventh ingredient in Don’t Bug Me! 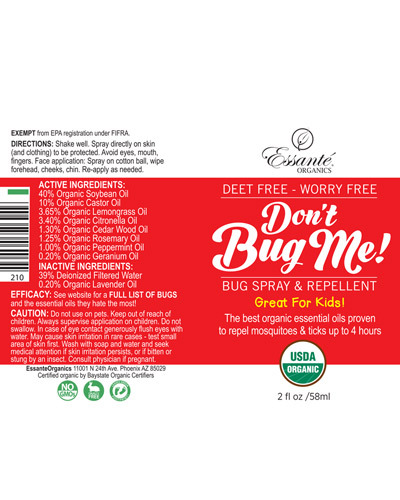 Bug Spray & Repellent is Organic Peppermint Oil, one of the most effective essential oils to repel and kill mosquitoes, files, fleas, gnats, ticks and spiders, ants, moths, roaches, chiggers and even bigger pests including mice. The eighth ingredient in Don’t Bug Me! Bug Spray & Repellent is Organic Geranium Oil, one of the most effective essential oils to repel and kill mosquitoes, flies, gnats and ticks. The final ingredient (listed after Deionized Purified Water) in Don’t Bug Me! Bug Spray & Repellent is Organic Lavender Oil, one of the most effective essential oils to repel and kill mosquitoes, bed bugs, gnats, flies, spiders, ticks, silverfish, moths and other flying insects. The best essential oils to repel and kill ants are Organic Peppermint Oil, Organic Citronella Oil and Organic Cedar Wood Oil. These oils are in Essanté Organics DON'T BUG ME Insect Repellent and Bug Spray. If you forgot to spray and you're suffering with an ant bite, spray DON'T BUG ME on the bite because it contains the best essential oils for ant bites, Organic Lavender Oil and Organic Peppermint Oil. The best essential oils to repel and kill aphids are Organic Cedar Wood Oil and Organic Peppermint Oil. These oils are in Essanté Organics DON'T BUG ME Insect Repellent and Bug Spray. The best essential oil to repel and kill bed bugs is Organic Lavender Oil. This oil is in Essanté Organics DON'T BUG ME Insect Repellent and Bug Spray. The best essential oils to repel and kill bees are Organic Lemongrass Oil, Organic Peppermint Oil, Organic Citronella Oil and Organic Cedar Wood Oil. These oils are in Essanté Organics DON'T BUG ME Insect Repellent and Bug Spray. Please only REPEL bees instead of killing them. They are vital in maintaining our Earth's ecosystem. If bees go extinct so do humans and all plant life on Earth. If you forgot to spray and you're suffering with a bee sting spray DON'T BUG ME on the sting. It contains Organic Lavender Oil and Organic Peppermint Oil, the best essential oils to soothe bee stings. The best essential oils to repel and kill beetles are Organic Peppermint Oil and Organic Cedar Wood Oil. These oils are in Essanté Organics DON'T BUG ME Insect Repellent and Bug Spray. The best essential oil to repel and kill caterpillars is Rosemary Oil. This oil is in Essanté Organics DON'T BUG ME Insect Repellent and Bug Spray. Try to only repel them vs. killing them so they may mature into butterflies. The best essential oils to repel and kill earwigs are Organic Peppermint Oil and Organic Citronella Oil. These oils are in Essanté Organics DON'T BUG ME Insect Repellent and Bug Spray. The best essential oils to repel and kill fleas are Organic Lemongrass Oil, Organic Cedar Wood Oil, Organic Citronella Oil and Organic Lavender Oil. These oils are in Essanté Organics DON'T BUG ME Insect Repellent and Bug Spray. The best essential oils to repel and kill flies are Organic Lemongrass Oil, Organic Peppermint Oil and Organic Lavender Oil. 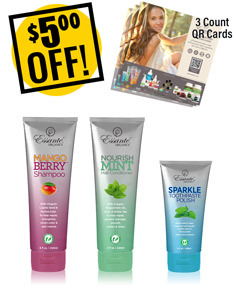 These oils are in Essanté Organics DON'T BUG ME Insect Repellent and Bug Spray. The best essential oils to repel and kill gnats are Organic Citronella Oil and Organic Lemongrass Oil. These oils are in Essanté Organics DON'T BUG ME Insect Repellent and Bug Spray. The best essential oils to repel and kill head lice are Organic Lavender Oil, Organic Rosemary Oil, Organic Peppermint Oil, Organic Geranium Oil and Organic Cedar Wood Oil. These oils are in Essanté Organics DON'T BUG ME Insect Repellent and Bug Spray. The best essential oils to repel and kill plant lice are Organic Peppermint Oil and Organic Cedar Wood Oil. These oils are in Essanté Organics DON'T BUG ME Insect Repellent and Bug Spray. The best essential oils to repel and kill mosquitos are Organic Soybean Oil, Organic Lemongrass Oil, Organic Citronella Oil, Organic Castor Oil, Organic Peppermint Oil, Organic Lavender Oil, Organic Geranium Oil and Organic Rosemary Oil. These oils are in Essanté Organics DON'T BUG ME Insect Repellent and Bug Spray. 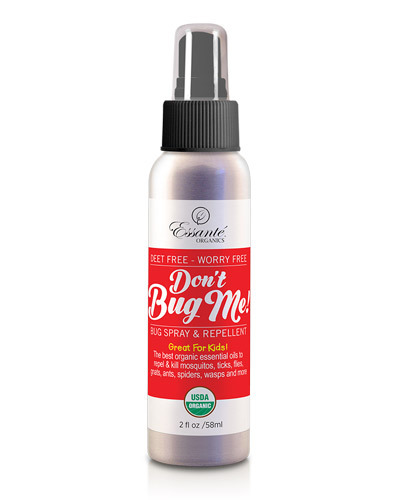 If you forgot to spray and you're suffering with a mosquito bite, spray DON'T BUG ME on the bite because it contains the best essential oils to soothe mosquito bites, Organic Lavender Oil, Organic Peppermint Oil and Organic Rosemary Oil. The best essential oils to repel and kill moths are Organic Lavender Oil, Organic Rosemary Oil, Organic Peppermint Oil, Organic Cedar Wood Oil and Organic Citronella Oil. These oils are in Essanté Organics DON'T BUG ME Insect Repellent and Bug Spray. The best essential oils to repel and kill roaches are Organic Peppermint Oil and Organic Cedar Wood Oil. This oil is in Essanté Organics DON'T BUG ME Insect Repellent and Bug Spray. The best essential oils to repel and kill scorpions are Organic Lavender Oil and Organic Cedar Wood Oil. These oils are in Essanté Organics DON'T BUG ME Insect Repellent and Bug Spray. The best essential oil to soothe a scorpion sting is Organic Frankincense Oil. Seek immediate medical attention as some scorpion stings can be life threatening. The best essential oil to repel and kill slugs and snails is Organic Cedar Wood Oil. This oil is in Essanté Organics DON'T BUG ME Insect Repellent and Bug Spray. The best essential oils to repel and kill spiders are Organic Citronella Oil, Organic Peppermint Oil and Organic Lavender Oil. These oils are in Essanté Organics DON'T BUG ME Insect Repellent and Bug Spray. If you forgot to spray and you're suffering with a spider bite spray DON'T BUG ME on the bite. 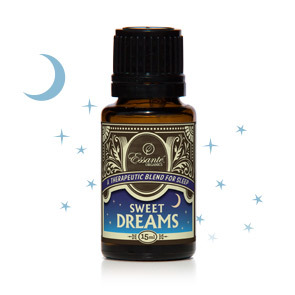 It contains Organic Lavender Oil, the best essential oil to soothe spider bites. If you suspect being bitten by a brown recluse or black widow seek immediate medical attention, as these bites can be fatal if left untreated by a medical doctor. The best essential oils to repel and kill termites are Organic Cedar Wood Oil, Organic Lemongrass Oil and Organic Geranium Oil. These oils are in Essanté Organics DON'T BUG ME Insect Repellent and Bug Spray. The best essential oils to repel and kill ticks are Organic Lavender Oil and Organic Geranium Oil. These oils are in Essanté Organics DON'T BUG ME Insect Repellent and Bug Spray. Spray your hair and scalp while (avoiding your eyes and mouth) with DON'T BUG ME, and wear a hat, because ticks often drop from trees onto animals and humans. The best essential oils to repel and kill wasps are Organic Peppermint Oil and Organic Lemongrass Oil. These oils are in Essanté Organics DON'T BUG ME Insect Repellent and Bug Spray. If you forgot to spray and you're suffering with a wasp sting spray DON'T BUG ME on the sting. It contains Organic Lavender Oil, the best essential oil to soothe wasp stings. The best essential oil to repel and kill weevils is Organic Cedar Wood Oil. 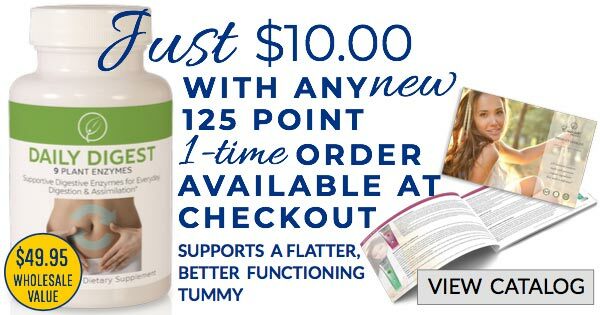 This oil is in Essanté Organics DON'T BUG ME Insect Repellent and Bug Spray. Safe for use on indoor and outdoor plants. Do not use DON’T BUG ME on pets. Keep out of reach of children. Supervise application on children. Do not swallow or spray near eyes or mouth. In case of eye contact generously flush eyes with water. May cause skin irritation in rare cases - test small area of skin first. Wash with soap and water and seek medical attention if skin irritation persists or if bitten or stung by an insect. Consult physician if pregnant. Consult your pediatrician and aromatherapist before using essential oils on infants and babies. Their nervous systems are still developing and thus not all essential oils are suitable for them. WHY CAN’T THIS PRODUCT BE USED ON PETS? DON’T BUG ME contains Lemongrass Oil and Peppermint Oil, which can be toxic to cats. It also contains Citronella Oil which, like chocolate and grapes, can be toxic to dogs. Consult your veterinarian and aromatherapist before using essential oils on animals. Their nervous systems are vastly different from the human nervous system.